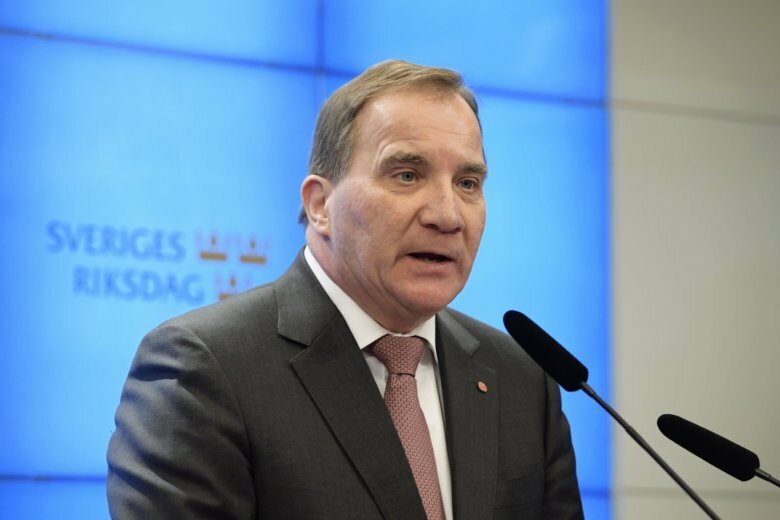 Two center-right parties already have agreed to abstain from voting against Lofven in Friday’s ballot in parliament on whether he should be Sweden’s next prime minister, leading a Social Democrat-led minority government likely with the left-leaning Greens. Wednesday’s development means three parties will abstain from voting against Lofven and two — his own Social Democrats and the Greens — will vote for him. This gives Lofven 195 lawmakers in the 349-seat Riksdagen, where a majority is 175 seats. Parliament Speaker Andreas Norlen on Wednesday nominated Lofven for Friday’s vote, after which Lofven likely will present his government. Swedish politicians are trying to form a government without the Sweden Democrats, which has neo-Nazi roots. Both the center-left and the center-right blocs have refused to cooperate with the Sweden’s third-largest party, which made great strides in the Sept. 9 national election. The center-right opposition was left fuming by Wednesday’s move.